Everyone has their own holiday traditions unique to them whether it’s a specific decoration or meal or just something to evoke past memories. 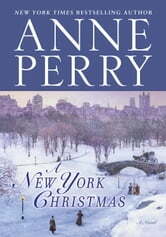 For me, it’s seeking out new interesting Christmas stories and, for this, I always look to Anne Perry. Every year she puts out a new Christmas novella starring one of the characters from her historical mystery novels. This year, it is Jemima Pitt, daughter of Thomas Pitt. The year is 1904 and Jemima has agreed to accompany a wealthy heiress to New York where she will marry the young scion of a wealthy American family. But things go terribly awry and Jemima finds herself arrested for murder. Fortunately she gets bailed out but remains under suspicion. Her father may be too far away to help but all those years of watching him solve cases have made her a pretty good sleuth in her own right. With the aid of a young NY police officer, she sets out to investigate the crime herself. 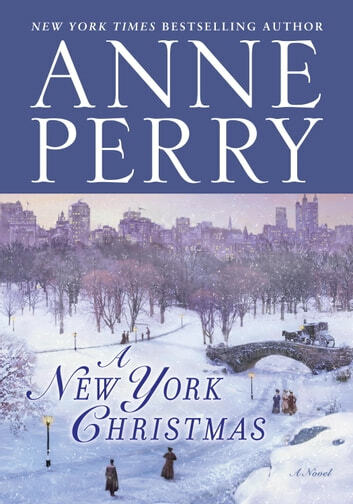 A New York Christmas is more about love and friendship, romance and betrayal than it is a mystery, the solution of which is fairly evident early on. However, the thing I like about Perry is her compassion and caring for her characters and the fact that she is as meticulous as possible in maintaining the etiquette of the era while creating an interesting and atmospheric tale. There may be romance but it is always staid; there is no bodice ripping or even kissing in public. Police procedures stay true to the level of the time, no modern techniques in an early 20th century setting. Where she does deviate from the norms of the period is in her female protagonists who are always strong, independent women who, even when they marry which was one of the few options open to women at the time, they marry for love and outside their class and Jemima is clearly developing into her own woman whether she marries or not. As in her other Christmas novellas, the story takes place during the Christmas season but is less about Christmas and more about the true meaning of the season. Here, it is about hope and friendship and new beginnings. At this busy time of year, it is a fine tale to curl up with during one of those infrequent quiet times to just relax and try to remember why we celebrate the holiday.